Everything I've tried so far works. Please comment on this post if you find things that don't work. Update: Scott Helme points out that I'm just part of an encouraging trend. 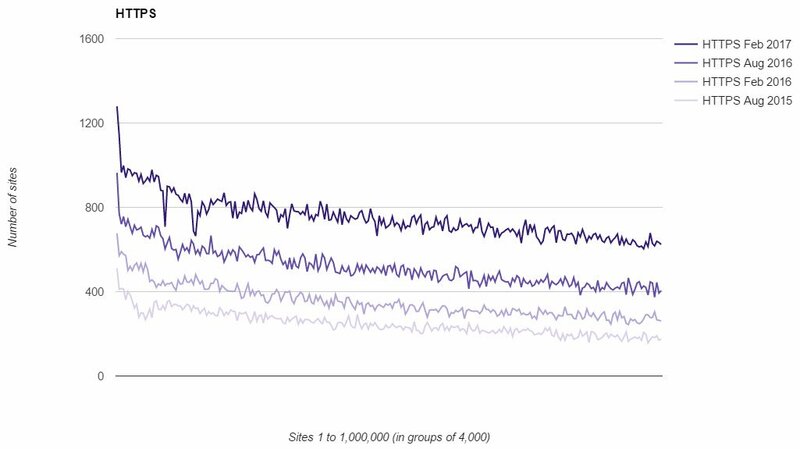 The graph shows the top million sites from Alexa in groups of 4,000. For each group, it shows the number of sites that are HTTPS (only, I believe). It shows that the pace of sites going HTTPS-only is increasing. The effect of Chrome's naming and shaming will presumably increase the rate of adoption further in July.